Gillingham station is horrible. I walk behind an oversized girl, with a homemade tattoo on her bulging spare tyre, trying to get past the ticket barriers with a child’s ticket. She is stopped and, as I leave, she is being cross-examined by three ticket inspectors. 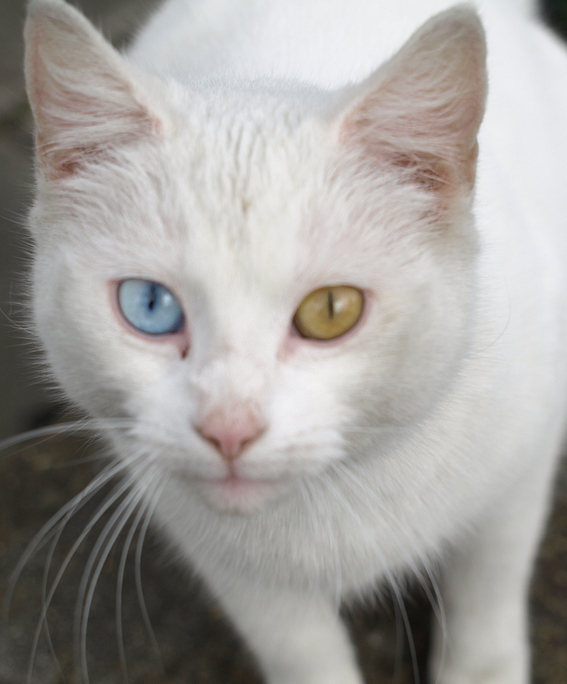 The only thing of interest I see during my walk down towards the shore, is an amazing white cat with different coloured eyes. 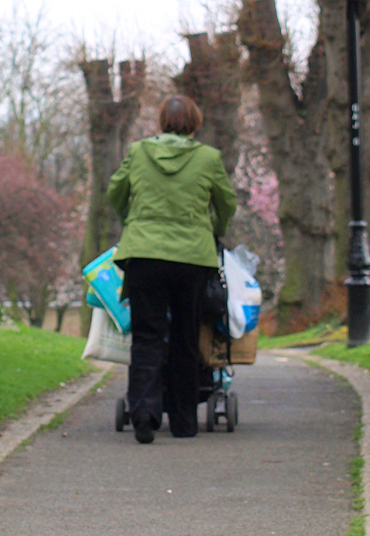 I walk behind a middle-aged woman pushing her grandchild (I assume) in a push chair. She has so many bags hanging off push chair, if she let go of the handles it would surely topple to one side. To be fair, most of the bags are full of disposable nappies. Today I am carrying enough in my rucksack for an overnight stay at a B&B. This took a great deal of planning, as I try to travel as lightly as possible, so I have a change of clothing and some wash things, that’s all. At one point, I realise I am being eyed up by a fellow walker, walking on the other side of the street. Stealing glances towards him, I realise he is a real tramp – disheveled and with a dirty rucksack on his back. Partly to avoid walking too closely to him (and I am slightly ashamed of this), I linger in a church yard and get my camera out. A man, putting out the bins, motions me over and lets me into his garden, where there is a better view of the church. The churchyard is nice and just below it there is a green park (Gillingham Green) where, finally, I find some signposts for The Saxon Way. I duly follow the signs, leading me down a nice lane until I reach a busy dual carriageway. Then the signs stop. Which way do I turn down the road? Left or right? The Saxon Way runs parallel to this road, on the far side, but how do I get access to it? Then I remember my last visit here and see a familiar landmark. Yes, I turn left and head for gasworks, a landmark I recognise. (Later I realise I could have joined Saxon way by going right – this would have been shorter but I would have missed excitement of The Strand). There are people in The Strand and, unlike my last visit, the toilets are open. Still no snack bar or tea shop – shame. 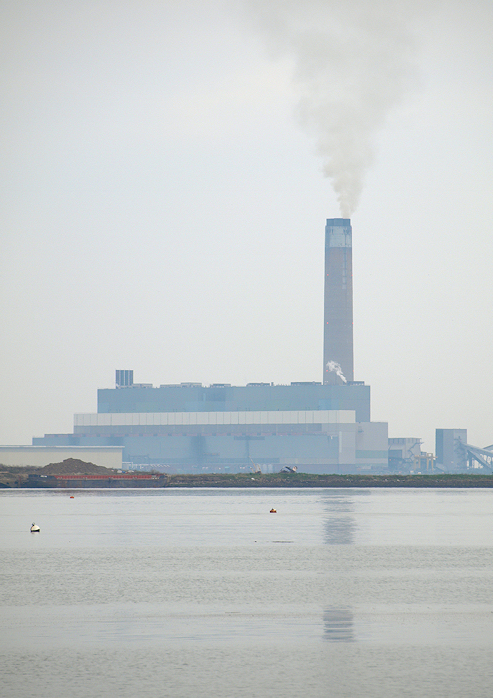 There is a low mist hanging on over the near horizon and I take some spooky snaps of Kingsnorth power station and the industrial structures on the Isle of Grain behind. There are some very noisy gulls with black heads. I am getting better at recognising wild life. I believe these are called Little Gulls. Now the sun comes out and, as I walk eastward along the shore, the area suddenly appears more attractive. Some time and effort has been spent here, turning the waterside into a scenic area (despite the surrounding industrial landscape). After walking past some houses and industrial areas, I come across a couple of lovely nature reserves – including the Riverside Country Park. There are sunken barges in water. Kingsnorth Power Station remains a presence in the background. And, strangely, I notice ducks – dabbling – in the sea! There are wonderful place names here. Horrid Hill is a small peninsula – with not much of a hill. 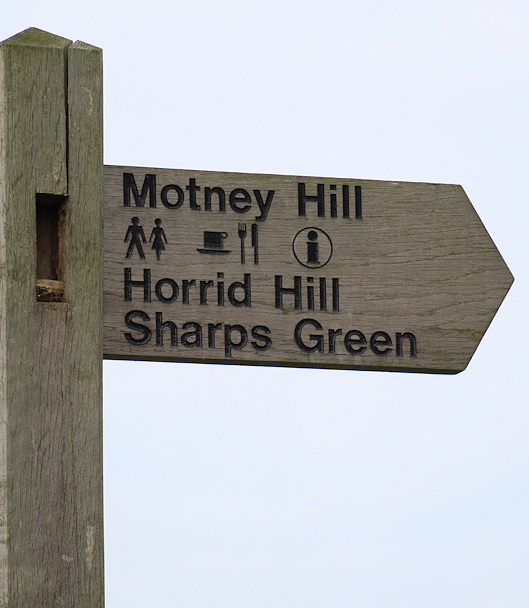 Motney hill is a larger peninsula with a definite hill. The path leads here and joins a road. Not many people seem to walk this way. I wonder why. The first clue is a tanker, passing me along the road, with “non dangerous waste” on its side. The second clue is the smell. Yes, Motney Hill is a pretty peninsula but houses a sewage works. So, the far end of the peninsula is inaccessible and the shore is screened off by large fences. I wonder how people can work and live with such a stink – there are residential houses here with children’s play equipment in the gardens. But, after a while, I don’t notice the smell anymore. I guess you can get used to anything. I follow The Saxon Way as it winds along the edge of Otterham Creek. 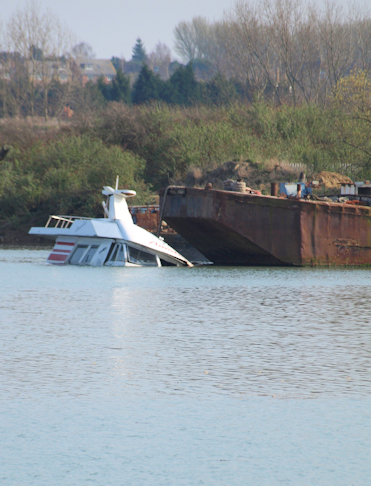 Moored in the creek are a motley collection of old houseboats, sunken ships and decaying wharves. 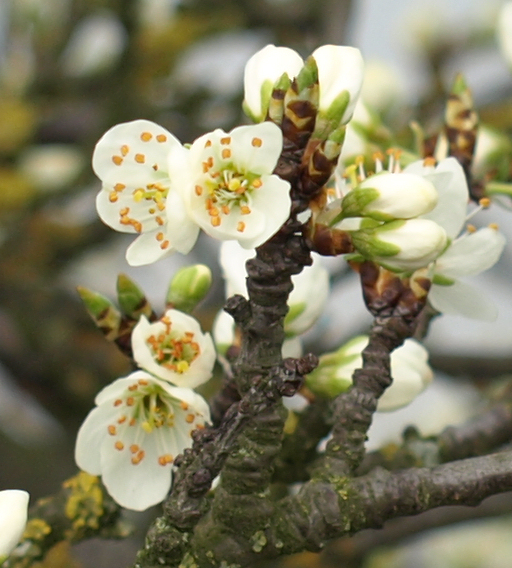 After that, Saxon Way turns inland and I walk along quiet roads and footpaths, up Windmill Hill, through orchards. I catch a glimpse of a man skinning and gutting rabbit with no sign of a knife – in a field beside his open 4×4. From the glimpse I have, he appears to be deftly removing fur and innards with his bare hands. He must have a knife! I don’t linger to find out. After that, I am forced to follow a road. Although there is not much traffic, the road is dangerous for walkers, barely wide enough to allow two cars to pass and certainly not wide enough for two cars and a pedestrian, there are no pavements or verges. The map shows the footpath branching off to the left. I see a likely looking track, but it has ‘private’ signs and a barrier (albeit raised to allow access). Continuing on, I realise that this must have been the footpath – the official Saxon Way. By this time it is too late and I have climbed a steep hill and am in the village of Upchurch. I resolve to report this to the council. Up until this point, this section of The Saxon Way was well signposted. Someone has removed the signs. I stop at a busy little village co-op and buy some coke and snacks for tomorrows walk. Then, walking onwards, I arrive at my booked B&B., where I am given a warm welcome, a cup of tea and a huge slice of cake in the garden. A robin joined me for tea, perching on the back of the garden chair. In the fading sunshine of this warm day, I notice the garden birds very noisy. It must be spring. Already I am worrying about my walk tomorrow. I feel exhausted, have had trouble finding the correct footpaths, and yet I have only walked 7 miles today. Tomorrow’s walk will be 14 miles to Sittingbourne. I was right to be worried. Little do I realise what a mission this will be! This entry was posted in 05 Kent and tagged coast, photography, travel, walking. Bookmark the permalink. These are lovely pictures (I love the weird cat) and I will be following your journey. Don’t be worried! You seem to be determined and stubborn and willing to risk. Thanks for sharing with us and good luck. I wonder if I’ll ever get to Europe, so I love to visit blogs such as yours. Lovely pictures, but your descriptions are so delightfully interesting. Great! If it makes you feel better I got lost at exactly the same point as you recently and ended up walking up that dodgy road to Upchurch. That day I walked from Riverside Country Park via Otterham Creek and Upchurch through to Lower Halstow. Glad to hear the signage has improved! 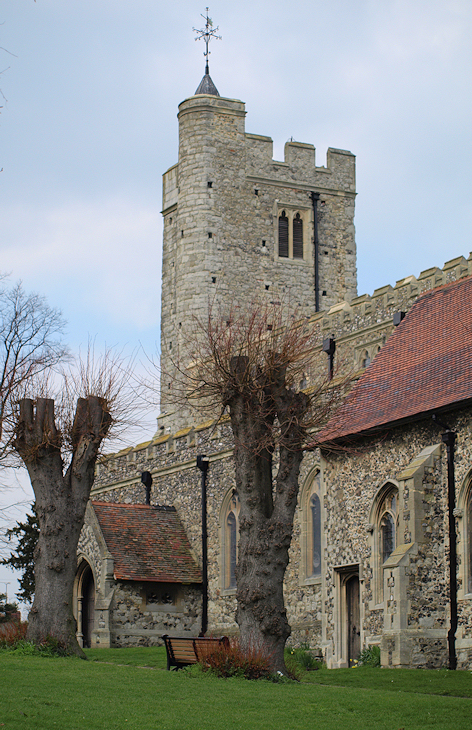 And I remember Upnor as a pretty village. I love reading about your adventures (you are far more intrepid than I, a fortyish bloke), I live in Newquay but had never really thought to much about walking the coastal path until coming upon your blog, I have now began to walk beyond my usual daily walks to take in the coastal path, (I tend to do circular walks so as to be able to go inland as well as along the coast) I doubt I will ever get very far upon the coastal path itself as I spend to much time “not” actually on the coastal path. I share your fear of Cattle! 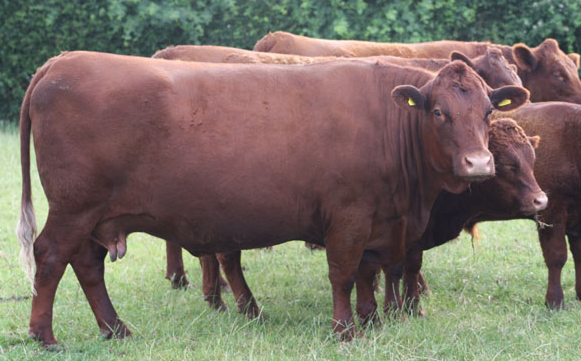 My fear is in the realm of bovinaphobia/taurophobia so that has blighted many a walk. I don’t have a fear of snakes, indeed, I wish I came across more snake fields than bovine fields. I suspect I may be alone in that thought though? 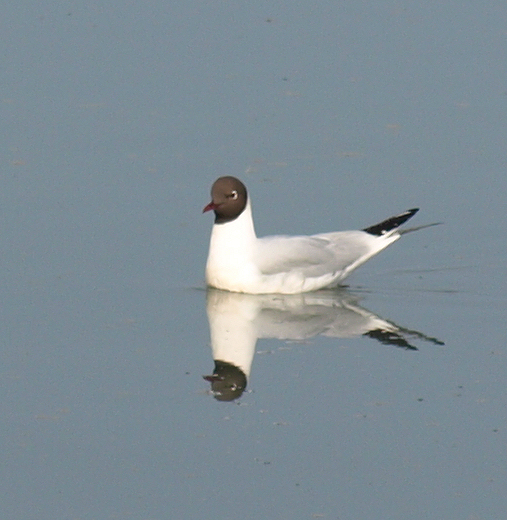 The photo of the little gull above is actually of a Black-headed Gull, they very confusingly have chocolate brown heads and are far more common than Little Gulls which do have a black head (but only in summer plumage), all in all Gull identification is pretty difficult. I follow your route/dialogue on my OS computer maps, an it never ceases to amaze me how many places I have been to on the coast, an whilst not in a walking capacity still brings back so many great memories, makes me wish I had kept a diary as you have of not just walks but days out that until reading your blog were forgotten memories. All the best on your way ahead Derek.